Jakarta – PT. 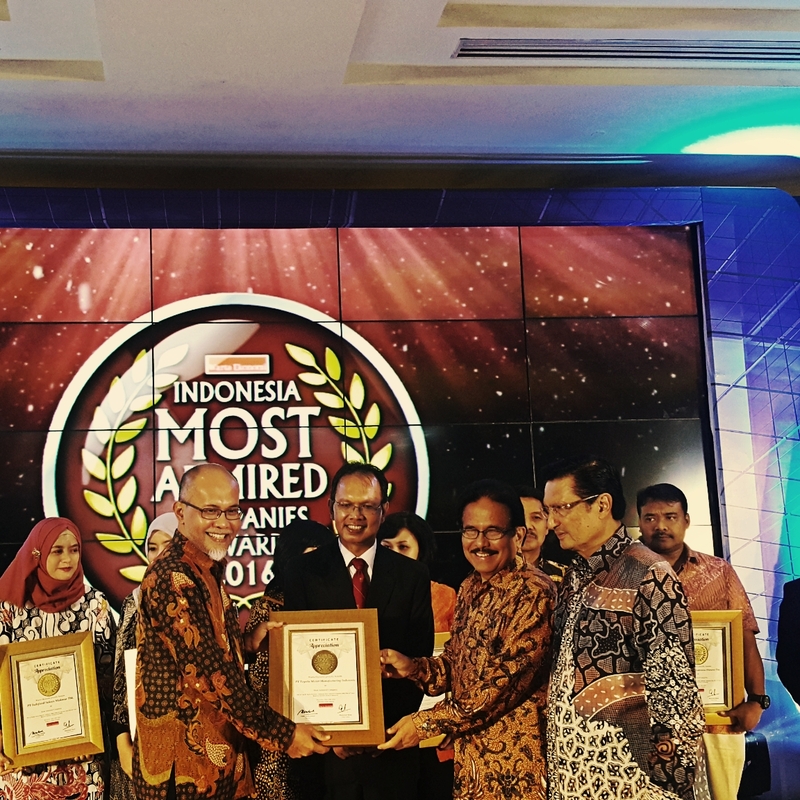 Toyota Motor Manufacturing Indonesia (TMMIN) for the second time received the award of “Indonesia Most Admired Companies Category Automotive” from Warta Ekonomi magazine. Besides that, TMMIN also received “TOP 20 Warta Ekonomi Indonesia Most Admired Companies”. The award was accepted TMMIN by Vice President Warih Andang Tjahjono on the night awarding ceremony at Pullman Hotel, 19 May 2016. “Warta Ekonomi Indonesia Most Admired Companies” (WIMACO) is an annual award that has been going on for 14 years since 2001. The research resulted in the names of the company with the highest awareness and best image as perceived by respondents as a company is coveted by the respondent. Assessment criteria include the respondent’s assessment of the Corporate Image, Financial Image, HR Image, Product/Service Image, and Global Competitiveness Image. Toyota Indonesia receive "Good Factory Award 2016"